A few weeks ago I mentioned that I was writing a 28 in 28 list. You know 28 things I want to do while I'm 28. However, as I was writing said list, I realized that the likelihood that I would complete some of the things on the list in a single year was very much unlikely. So I decided to change my list from a 28 in 28 to a 30 before 30 list. This gives me 2 years to complete the list you're about to read. Some of them are personal, some just for fun, some I already know I will be completing, and some are blog related. I think I've got a pretty good mix of stuff here. Well there ya have it! 30 things to do before I turn the big 3-0. Let's do this! Great list but hold the phone- you haven't been to the Houston rodeo?!? You need to fix that! 3. I can' wait to see how you decorate your own place! 6. I met my boyfriend on OKCupid...we've been together 2+ years! 11. I want to do this too! 28. I've never done this, either...I'm scared. Thanks for sharing! Happy Thursday! This is AWESOME! I did a 25 before 25 a few years ago. I think I need to do a 30 before 30 too!! I love your 30 before 30 list! It makes me want to do one as well. I'll run that 5K with you, I run slow so I'm an awesome running partner if you're just starting out! Ha! I haven't done one of these list, but I love yours!! Also, I love your blog design, don't change it! All great things! It's so crazy you posted this bc I was going to post on of these today since I'm now officially 2 years from 30! I love this list!! I want to go to D.C. and Europe also!!! Ahh this is such a fun list! I JUST bought a piece from Anthro recently! Love this post!! Some of these places have officially been added to my bucket list!! Especially Europe someday!! Yay! This is a great list! Great idea! But mine will have to be a 40 before 40! Eek!!! :-) Lots of fun ideas on there! I love all of these!! I need to do a 30 in 30 list too, seems like an attainable thing to accomplish. Definitely yes to all the travel related things on your list, I want to go to the Houston Rodeo too, hopefully next year!! I definitely want to go to a blog conference too, so much to learn at them. I love your list! You have me inspired to do a list now too!! A cruise vacation is all about doing a variety of things or absolutely nothing. I love this girl! A lot of yours sound like mine especially the meet the husband. I had done a 25 things I learned before I was 25 a year ago. oooh i have seen michael buble twice.. he had two shows in sydney on the same tour and i went to both of them hahaha. he was really good, though i wish i hadn't seen two shows back to back because he recycled his jokes which i know is probably super common but it made me sad lol. he was so good though! I need to make a 30 under 30! It's hard to create fun goals at this point in life, but this is a great idea for us! I love this! Definitely making one asap. I'm reaaallly running out of time! :D. But I love making goals and trying new things! Perfect! Love your list! Love that you changed it to a 30 before 30 list! If you ever need a partner crime for any of these I'm totally game! I'm always down for a Broadway play, especially since they come through town all the time, and I'd love to take you to the Houston rodeo for the first time next year! I can't wait to see how you do with your list! Ummm I OBVIOUSLY love #1!! So many of these are on my list too! 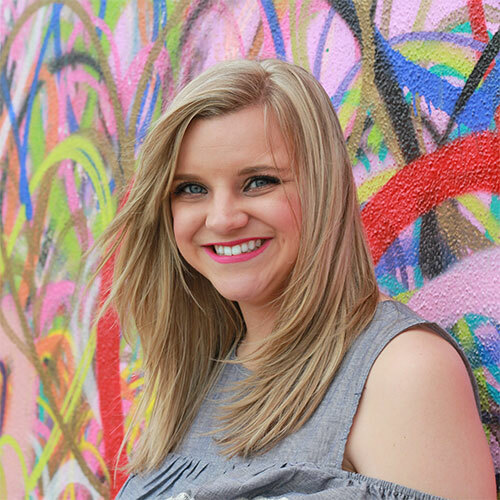 I'm so far from 1,000 Instagram followers but I would love to hit that on my blog! I want to take a photography class and see Diagon Alley! Anthropologie...yes girl! Me too! I would be happy to take a workout class with you when you're in DC!!! That could be such a fun blate! 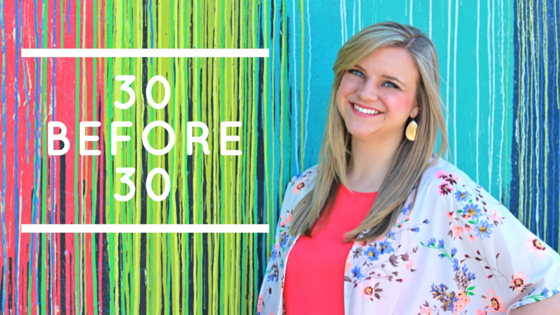 LOVEEE your 30 before 30 list! I just did one myself back in Feb. I just went to Chicago this past fall and it was AMAZING! Seattle is on my bucket list too! Bucket Lists are so much fun! I can't wait to watch you complete yours!